Heli Tourism’ to become a reality in Tirupati. 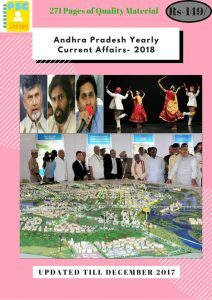 The much awaited ‘Heli Tourism’ initiative by the Andhra Pradesh Tourism Development Corporation (APTDC) is all set to become a reality in the temple city, as the officials announced that a permanent facility would be constructed at Shilparamam’s Urban Haat by the end of this year. mainly to cater to the devotees visiting Tirupati and Tirumala, ahead of the Srivari Brahmotsavams, scheduled to commence on October 23. Once operational they can organise a minimum of 10 trips per day, depending on the weather conditions, covering Tiruchanur, Chandragiri and Srinivasa Mangapuram (a tentative route). India and Japan agreed to collaborate closely in defence production, including on dual-use technologies. 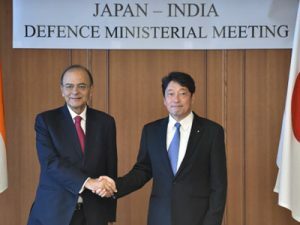 Defence Minister Arun Jaitley and his Japanese counterpart Itsunori Onodera signed the agreement during India-Japan annual defence ministerial dialogue in Tokyo. The countries agreed to commence technical discussions for research collaboration in the areas of Unmanned Ground Vehicles and Robotics. India planned to buy theUS-2 ShinMaywa aircraftfrom Japan for its navy. NHAI awarded its First International Project in Myanmar to Punj Lloyd-Varaha. The National Highway Authority of India awarded its first international project in Myanmar to a joint venture of Punj Lloyd-Varaha. This is for the up gradation of the Yagyi–Kalewa section in Myanmar to two lanes with the earthen shoulder in the engineering, procurement, and construction mode. Punj Lloyd Varaha’s bid was identified as the most competitive among four qualified bidders. It was at Rs. 1,177 crores. 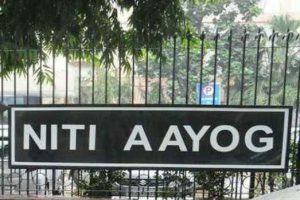 NITI Aayog launches National Nutrition Strategy. The National Institution for Transforming India also calledNITI Aayoglaunched the National Nutrition Strategy aimed at Kuposhan Mukt Bharat. It intends at bringing nutrition to the center-stage of the National Development Agenda. It enables states to make strategic choices, through decentralized planning and local innovation, with accountability for nutrition outcomes. The Ministry of Health and Family Welfare has launched two new contraceptives, an injectable contraceptive MPA under the ‘Antara’ programme and a contraceptive pill, ‘Chhaya’, in the public health system to expand the basket of contraceptive choices to meet the emerging needs of couples. the ‘Antara’ injectable being effective for three months and the ‘Chayya’ pill for one week. 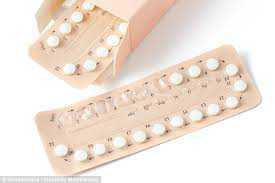 The contraceptives, which are available for free in medical colleges and district hospitals at present, have so far been launched in the states of Maharashtra, Uttar Pradesh, Madhya Pradesh, Rajasthan, Karnataka, Haryana, West Bengal, Odisha, Delhi and Goa. The main objective of the Mission Parivar Vikas family planning initiative is to bring down the Total Fertility Rate (TFR) to 2.1, which is when the population starts stabilizing, by the year 2025.